We have a passion for finding, selling, and restoring beautiful pieces of history. Let us help you find your next piece! Our team of experienced appraisers and specialists in the fine art field are proud to contribute to the growth in the global art market while working with you, here in Sarasota, Florida. We will help you sell or discover the perfect piece of furniture that is just right for your situation. The intricate details on these pieces set each one apart from the others. Looking to sell your collection? Looking to add to your current collection? We would love to help you accomplish that! Our team of experts will do all the needed research for you to discover the history and value of each particular antique brought into or sold by our store. We offer jewelry with a variety of price points for every collector’s needs. Contact us for a free valuation or to discuss buying and selling with Sarasota Estate Auction. Throughout history, sculptures have been created with various materials but all demonstrate the beauty of the artist’s mind that created them. Let us help you create a new home for the sculptures of the past! 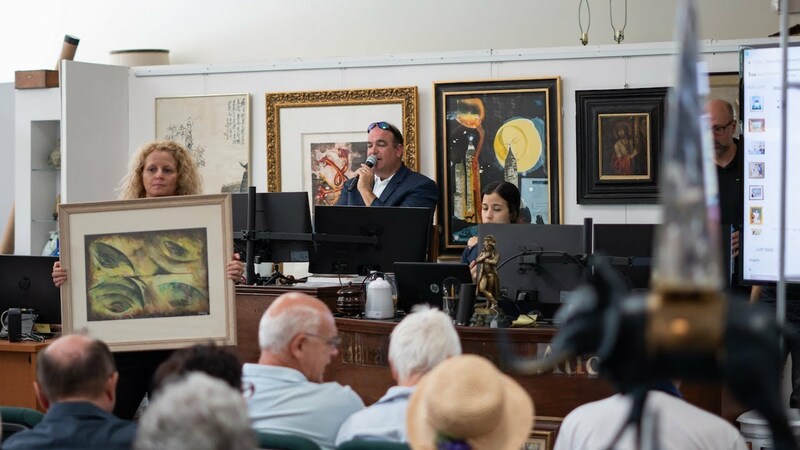 Whether you are simply curious about the value of a family heirloom, or you have pieces of artwork that you would like to sell or have restored to their original beauty, or you are looking for the perfect new piece to compliment your current decor or collection, our team at Sarasota Estate Auction is here to help! Through our network of qualified appraisers we can give you a fair assessment of what your item might bring at our next auction. We are Florida’s leading destination for Fine art, Sculptures, Furniture, Objets d’art, and other antiquities. Our team offers verbal appraisals and is always buying. In order to bring the maximum value at auction, we can refer you to our professionals who expertly mix century-old techniques with modern restoration technology to create some of the best repairs in the world.